We offer site consultations to discuss new projects. We will help determine the scope of work, develop a preliminary budget, and explore options that will fit your budget and schedule. We will either assist with the design of your project using our own resources or refer you to a suitable designer/architect. As your plans take form, we will create a working budget and timeline for your project. There are a number of site-specific considerations to consider at this phase including orientation of the building, efficiency of the structure and materials. We will also assist in preparation of necessary documents for permitting. Once the planning and design are complete, experience and communication lead us through the building process. 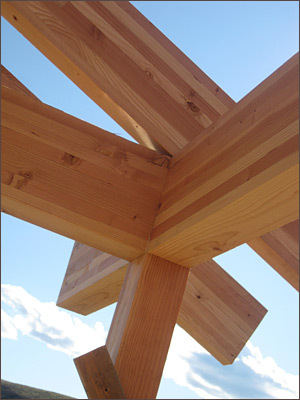 We work with a number of trusted subcontractors and pull on our own background in rough and finish carpentry to create beautiful and lasting structures.